Provac ae experts in the supply of special order and chambers direct from your drawings, data or verbal instruction. Where required our technical support engineers experience is available to you, ensuring we produce the correct design for your application. 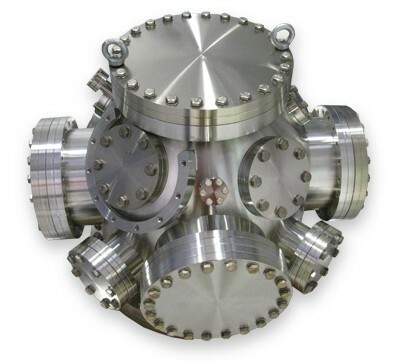 Provac can custom build any vacuum chamber or fabrication promptly and cost efficiently whilst ensuring the highest quality standards. Large capacity machining centre and handling equipment are also available for the fabrication of special vacuum assemblies and chambers of up to two meters diameter. Our highly experienced drawing office will produce engineering drawings of your proposed custom products based on your requirements and specification. Or if available, we can work from supplied drawings. An experienced vacuum specialist will visit your site to discuss your needs on request. supply specials on a regular basis for high and ultra-high vacuum applications. Precision port alignment for analysis chambers, integral cooling coils and all required components, such as electrical feed throughs, manipulation equipment and gauges and be pre-assembled and tested. All chambers undergo thorough processing and testing during and after manufacture and are 100% independently inspected. We produce plotted inspection reports on request. Cleaned to HV or UHv application with cleaning through automated cleaning plants or with a hot steam wash process and air bake as standard. On request, we can blank off the chambers, pump and bake under vacuum with RGA printout supplied.